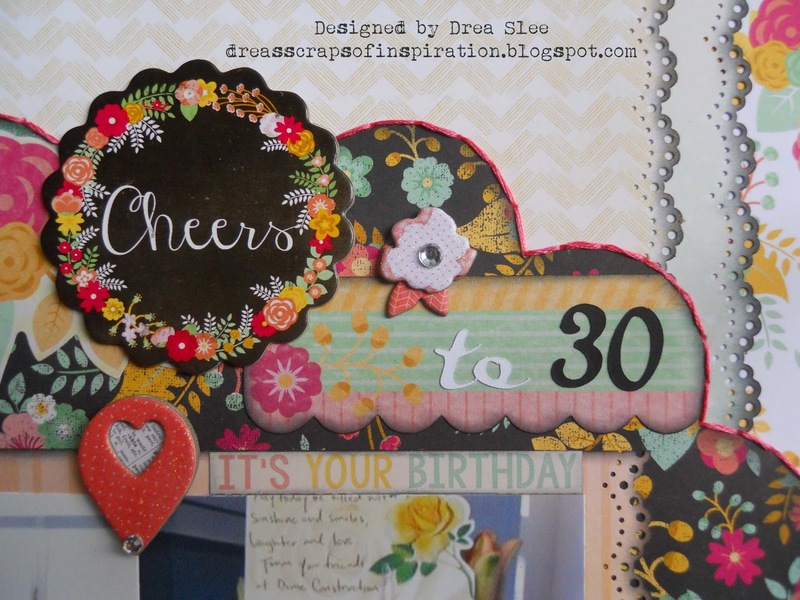 Drea here with another layout featuring Bo Bunny's You're Invited I Want It All Bundle from FotoBella! I can't believe my baby sister turned 30 last month, and she's more beautiful than ever! The papers in the 12 X 12 Collection Pack were just right for these photos! I layered and punched the edges, inking them with Ranger Black Soot Distress Ink. The black floral Soiree paper was cut with my Cricut Expression and layered on top, with some hand-stitching around the edges to make it pop. 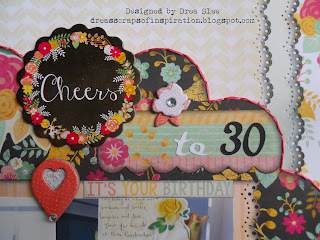 I used the Cheers piece of Chipboard layered over some pieces from the Noteworthy pack, using my Cricut again to cut the rest of the title. The other chipboard pieces with the bling come in the Ephemera.